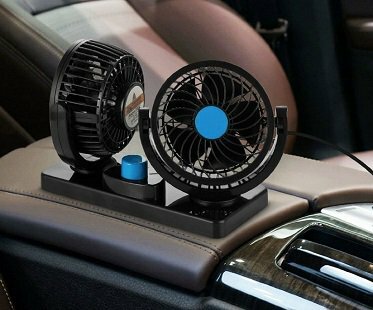 If your car needs an extra cool boost this summer then you need these dual head car fans! Powered by your cigarette lighter plug, these fans are ideal placed on the dashboard or in between seats to keep you and your passengers cool. Also great for blowing away smoke or bad odors!